Craig specializes in orthopaedics. He assists Dr. Douglas in surgery and reduces/sets fractures and dislocations. Craig Packham is a Physician Assistant working with Dr Douglas in Orthopaedic Surgery. Craig spent his youth in southern California before moving to Utah after high school to attend college. He earned his Bachelor's Degree at BYU in Athletic Training and Sports Medicine. But he'll tell you that his biggest achievement in Provo was meeting his wife, Sharayne. They have been married since 1997 and have four beautiful children, three sons and a beautiful daughter. Craig then attended Idaho State University where he earned his Master's in Physical Therapy. 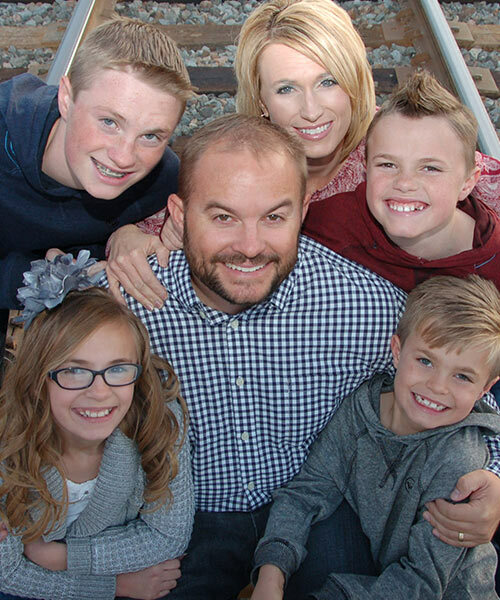 Shortly after school, his family moved to Tooele county and Craig took a physical therapy job directing a local clinic with Mountainland Physical Therapy. He also helped establish the sports medicine programs at both Tooele and Grantsville High School. In 2006, it became apparent to Craig and his family that there was another career path to follow. He attended the Physician Assistant program at The University of Utah (that's right, he's a Cougar and a Ute). He completed rotations in family/internal medicine, pediatrics, OB/GYN, Emergency medicine, Cardiology, Neurology, General Surgery, and Orthopaedics. The majority of his rotations were completed here in Tooele Valley. Craig enjoys Orthopaedics and Sports Medicine and enjoys working with all ages. He also enjoys teaching and has a passion for fitness. As a Physician Assistant, Craig is able to see patients, order x-rays, MRIs and blood tests and interpret these tests. He is able to diagnose and prescribe medications for patients. Specializing in Orthopaedics, Craig also assists Dr Douglas in surgery and reduces/sets fractures and dislocations. Craig loves spending time with his family. He loves hiking, traveling, and taking his boys to BYU games. He loves to spend time with his wife and enjoys a relaxing night eating popcorn and watching movies with her. He is an avid sports fan and loves to play and watch whenever he can fit it into his busy schedule. In his leisure time you'll find him golfing, or training for triathlons (he just started doing them and is addicted). He is also active in the community and his church. As a Physician Assistant in the State of Utah Craig is licensed in the state as a PA and carries a license for prescription medications. He is also nationally certified as a PA by the NCCPA. This certification is updated every six years with a national exam and yearly CME's.